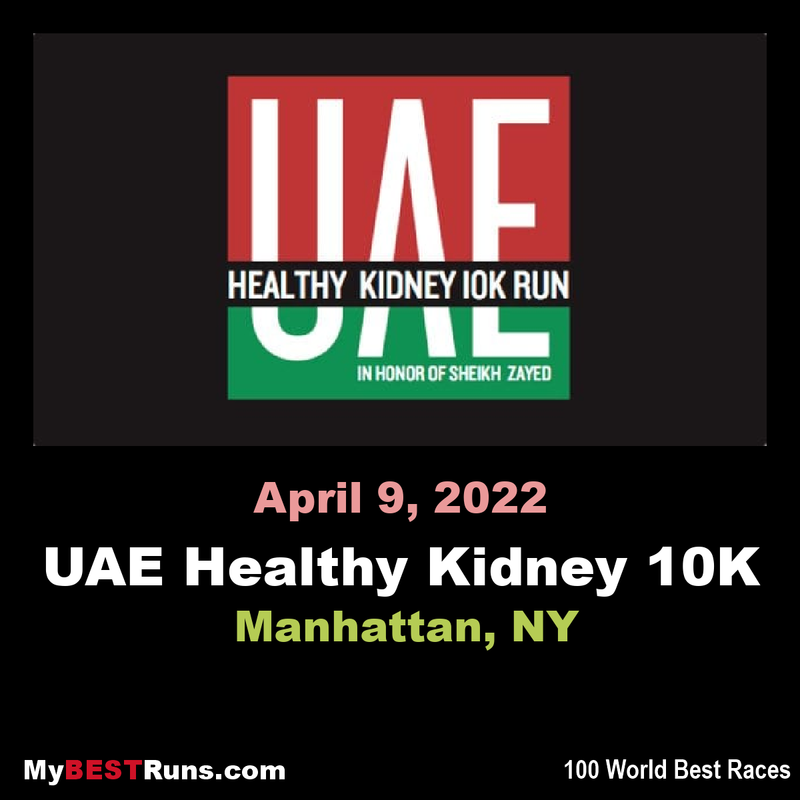 The race celebrates the culture of the United Arab Emirates while raising awareness for kidney disease and organ donation. The connection between the two causes originated through the UAE's founder and first president, the late Sheikh Zayed, as he aimed to show appreciation for the care he was given in the U.S. after receiving a kidney transplant in 2000. In his honor, the race offers the $30,000 Zayed Bonus, given to the first man who breaks the event record of 27:35 and to the first woman who runs faster than 30:44. From the starting horn, two runners—Kenyan training partners Rhonex Kipruto and Mathew Kimeli—set off to chase that bonus prize money, in addition to competing for the $10,000 first-place prize. Passing the 5K split in approximately 13:39, the two were on track to break the event record, and they would only pick up the pace from there. On the fourth mile, the 18-year-old Kipruto began to pull away from Kimeli, and he reached the 8-kilometer checkpoint in a world-best time of 21:45, breaking the previous mark by 17 seconds. Kipruto would then lower the UAE Healthy Kidney 10K event record by 27 seconds, crossing the finish line in 27:08; that time is also the fastest in the world this year to date, the fastest road 10K ever run in the United States on a record-eligible course, and the seventh-fastest road 10K of all-time (also on a record-eligible course). Kimeli would finish second in 27:19. 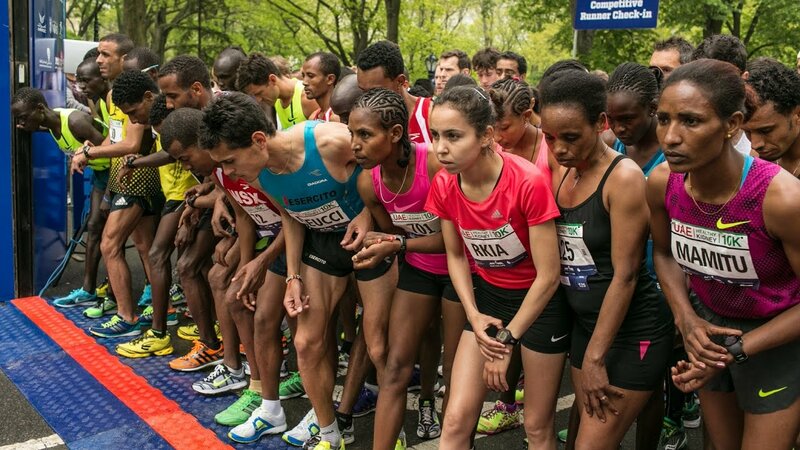 The women's race provided another exciting finish, as 2018 United Airlines NYC Half champion Buze Diriba of Ethiopia once again used her fast finishing kick to win, this time in 32:04, coming from behind to pass fellow Ethiopian Aselefech Mergia in the final 200 meters. Both winners were presented with their $10,000 checks in the post-race festival, with Kipruto receiving the $30,000 Zayed Bonus to accompany his new event record. After the awards presentation, Kipruto and Kimeli stayed on stage to celebrate with a special guest performance from Flo Rida. 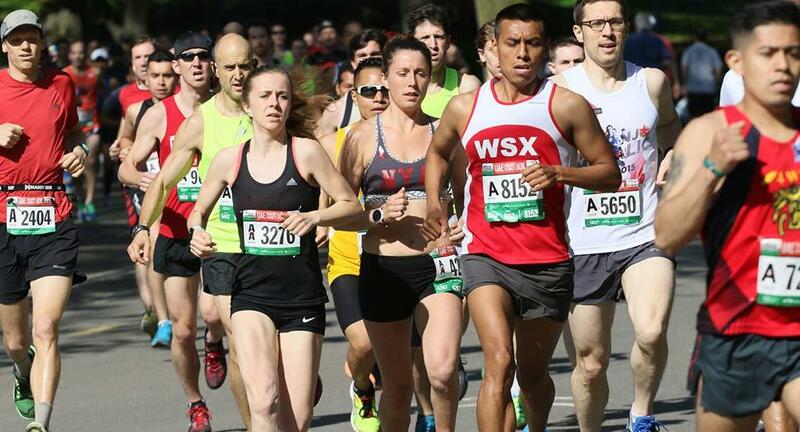 The course is slightly more than one counter-clockwise lap of Central Park’s six-mile loop. Mile 1:Start on East Drive near 69th Street and head north; there is a moderate uphill early in the first mile. Mile 2:Continue along East Drive as you pass the Reservoir on your left. Mile 3:Pass the 102nd Street Cross Drive on your left and descend, then ascend Harlem Hill; continue past Lasker Rink. Mile 4:Run over rolling hills as you head south on West Drive. Mile 5:Continue south on West Drive, passing the 72nd Street Transverse, and complete the lower loop of the park before the course turns back onto East Drive. Mile 6 (+.2):Continue north on East Drive, passing the start line at 69th Street. Turn left at the 72nd Street Transverse and continue toward the finish line.